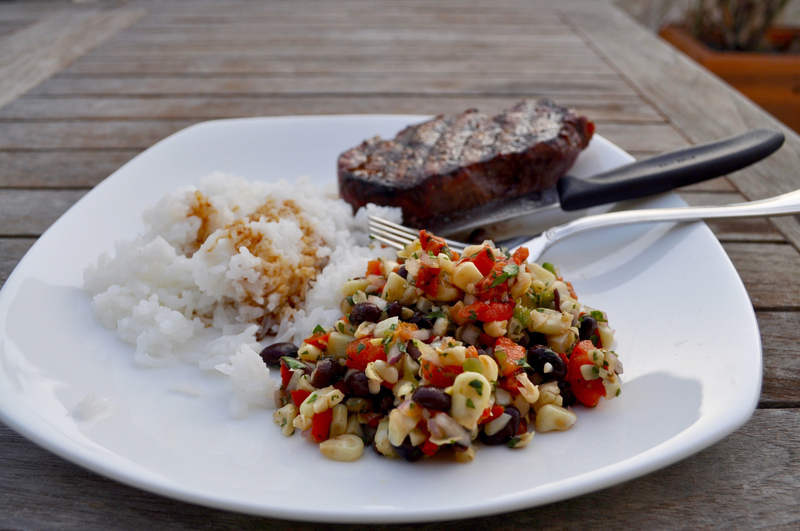 Turn on your grill to high, and once it’s at temperature throw on the pepper and corn. Rotate them every few minutes to make sure all sides are nicely browned, not burnt. In the meantime, chop up the red onion, jalapeño, cilantro. Add in the black beans, lemon, and lime to the mixture. Once the peppers and corn have color, take them off the grill and let them cool. Place the red peppers in a bowl and cover the bowl with saran wrap for about 10 minutes. This will allow the skin to be peeled off the peppers easily. Once the peppers are cool to touch, peel off most of the skin. Drain the water and remove the seeds form inside the peppers, then dice the red peppers and add it to the onion mixture. Once the corn is cool enough to handle, cut the kernels off the cob, then roughly chop them into smaller pieces. Add the corn to the onion mixture as well, and stir until everything is combined. Add salt and pepper to taste. 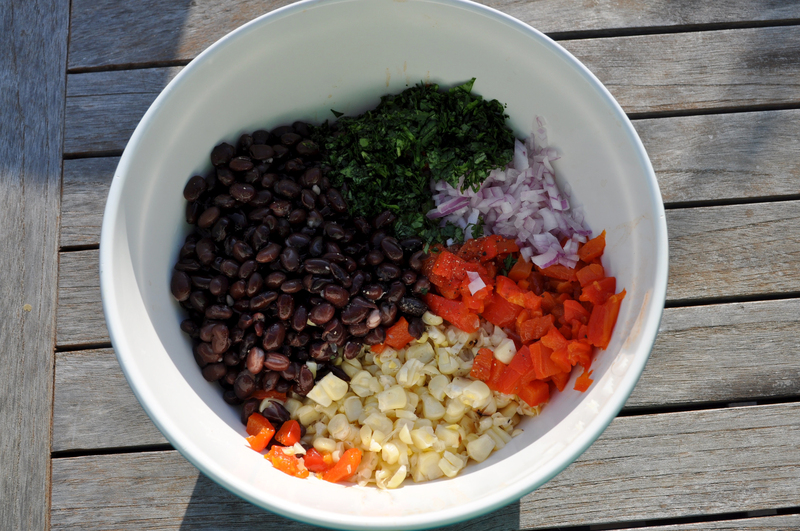 2 Comments on "Corn and Bean Salad"
Ahhh this looks so delicious (I dislike peppers so would remove those) but how easy. I’m with you, you have to grill as much as you can. We do it about 4 times a week in summer it’s so easy. My husband isn’t really a fan of the red peppers either so sometimes we make it with out them. Still just as tasty!